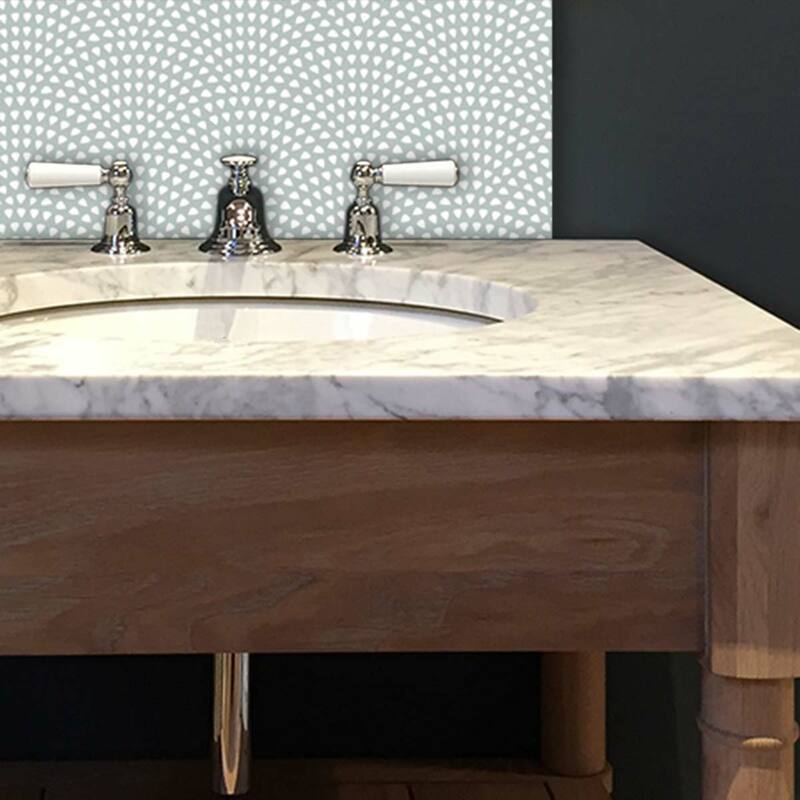 9 Bathroom Feature Tiles Worth Featuring! 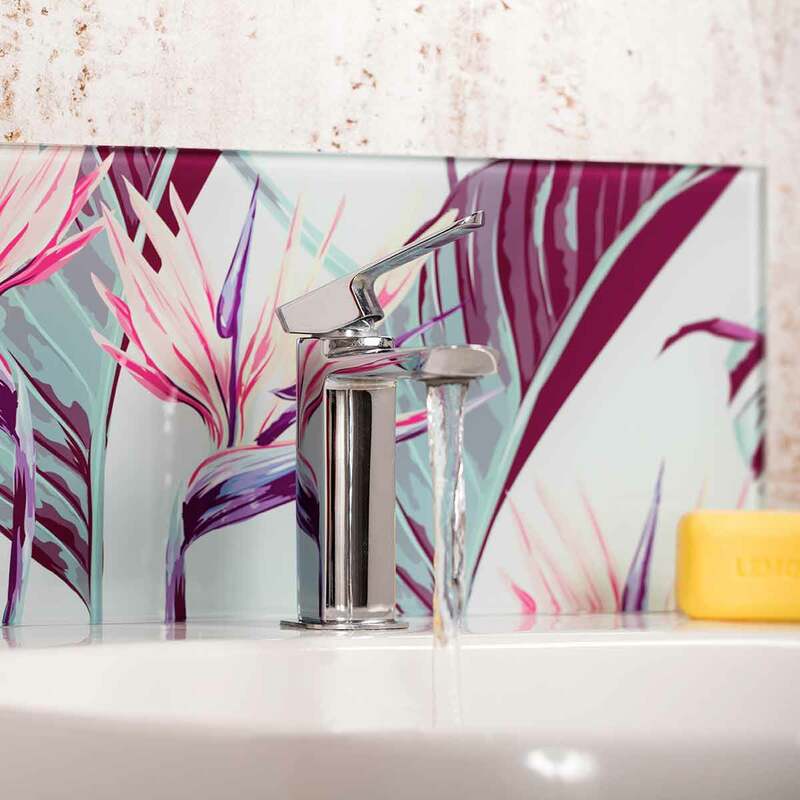 Our bathroom Feature Tiles are bold, bright and….big! 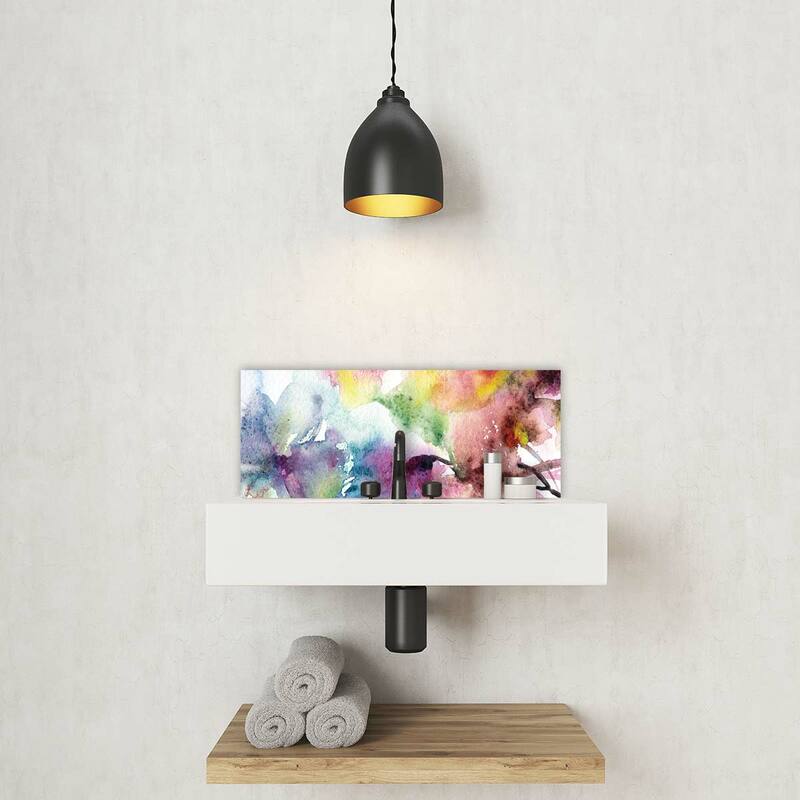 We all agree that when it comes to adding that finishing touch to your bathroom, something with a bit of colour can make a real statement. I’ve got a friend who works for a paper company and he once told me that those pastel colours of A4 copier paper you can buy – you know, the pale yellow, green and blue – are called the toilet shades. As daft as it sounds I can see what he means. 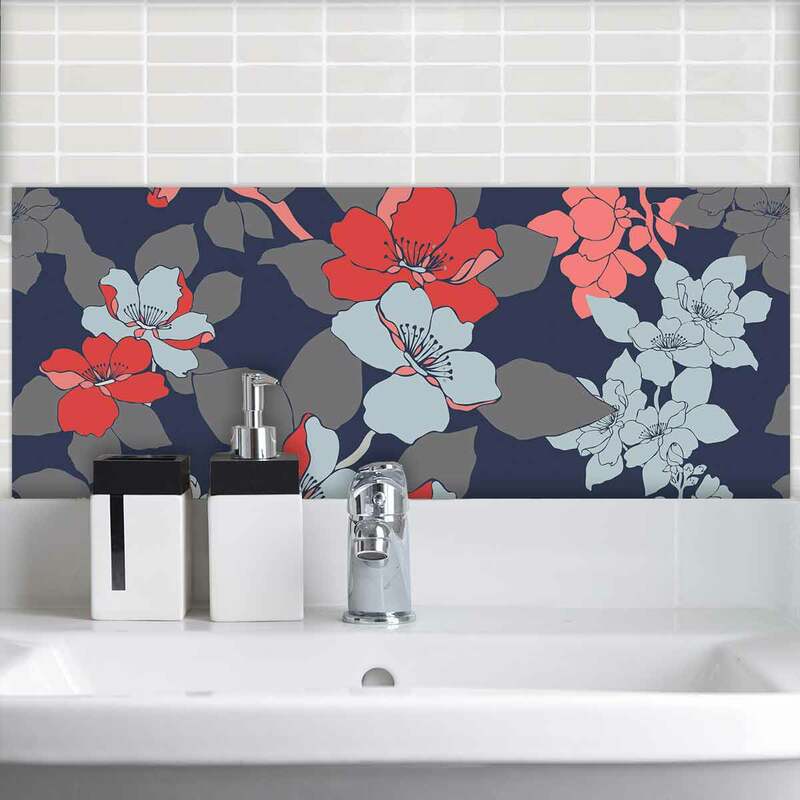 Take a look around your bathroom, does it have a colour theme that would fit neatly into a paper swatchbook? 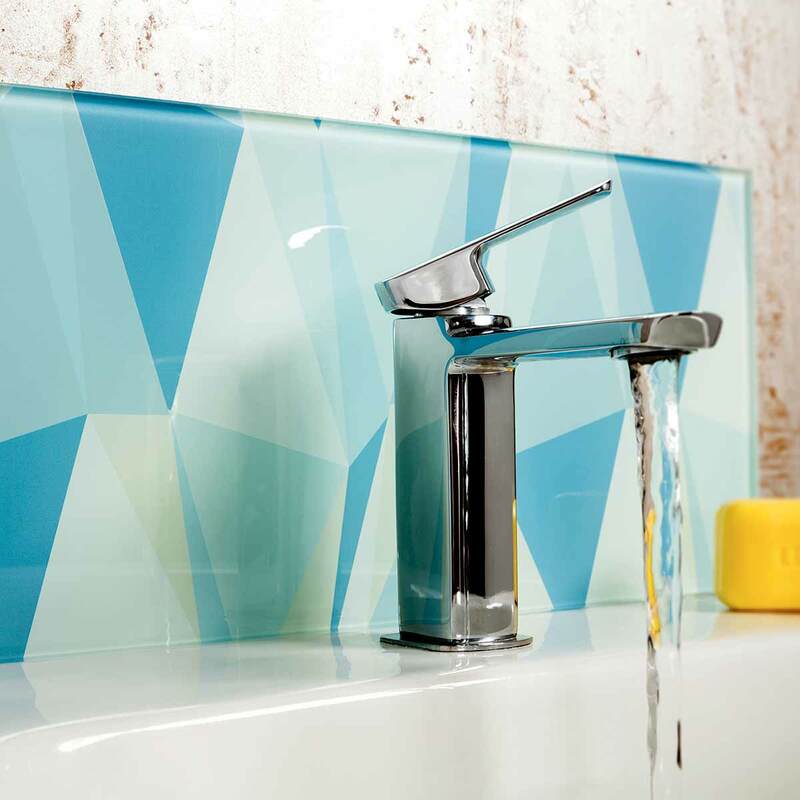 To craft our Feature Tiles, we source the clearest toughened glass we can find and print carefully onto the back. Dramatic patterns and mesmerising designs look fantastic when viewed through the glass. 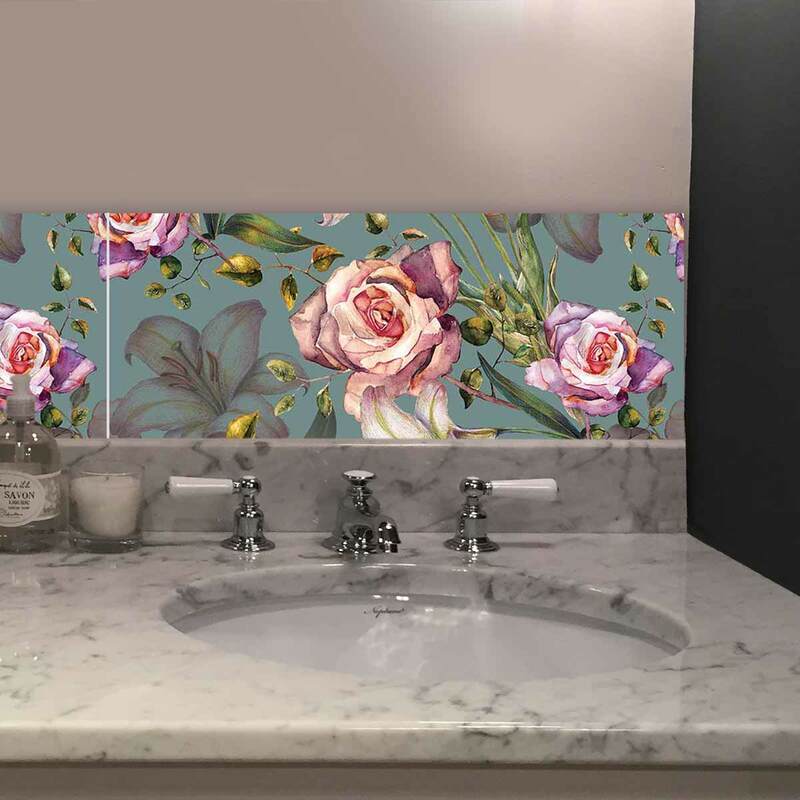 After producing your bathroom Feature Tile, we overprint to seal it right in, QC check for our super high quality, and off they go directly to you. To help with ideas for the smallest room, let’s see what we can find from our growing tile range. The magazines are always telling us that floral and colourful flower patterns are the new hotness for the coming season but let’s be honest, do floral patterns ever really go out of fashion? There’s a real soft spot for large-scale floral patterns here at For the Floor & More and with our bathroom Feature Tiles, we had to include as many options as possible. Our Flora range is always popular and expect more and more to be added over the weeks, months and years. Like floral patterns, geometric patterns seem to be a mainstay of contemporary home décor design. 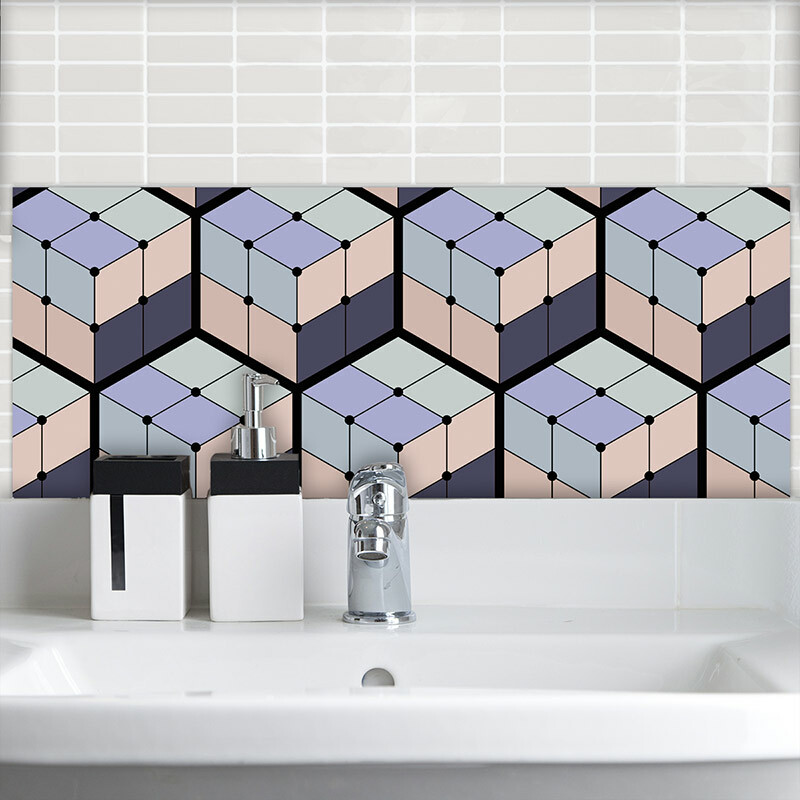 A fundamental theme in the coolest homes and if a modern geometric Feature Tile finds a place to nestle in behind your bathroom taps, then so be it! The thing about geometrics is how they can range from an almost subtle repeat to the full-on retro and quirky. There’s a geometric style in all of our homes trying to burst out and whether it gets to show it’s angular chops in the form of rugs and flooring, towels or bathroom tiles, let it out! If all this hasn’t fully quenched your bathroom Feature Tile thirst, have a skim through this post on the hows and whys of Feature Tiles. 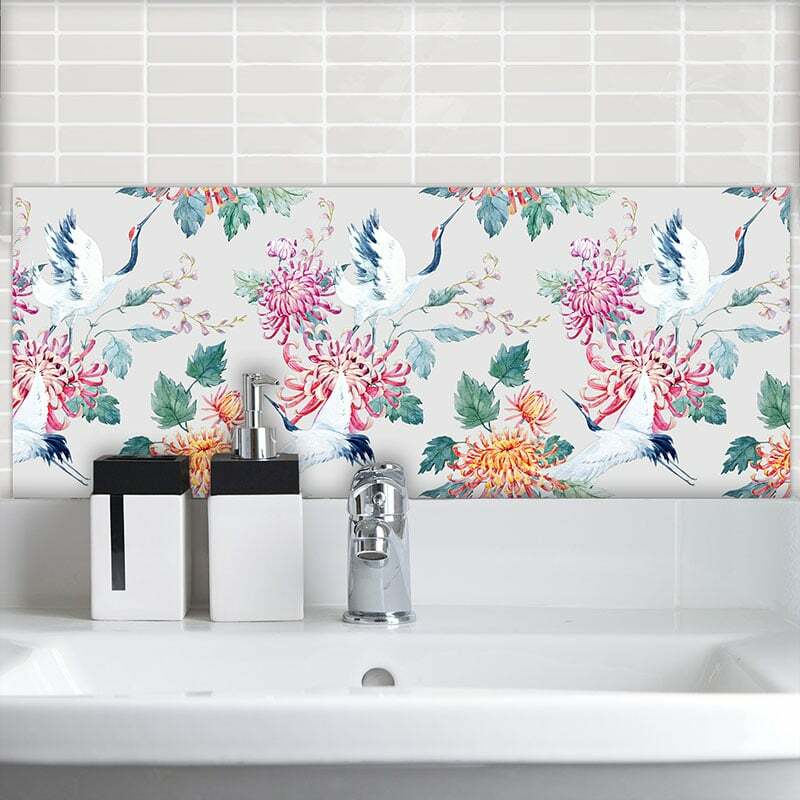 If you’ve got a penchant for all things Chinoiserie (and let’s face it, who hasn’t), here’s a post looking at our range of oriental design Feature Tiles. 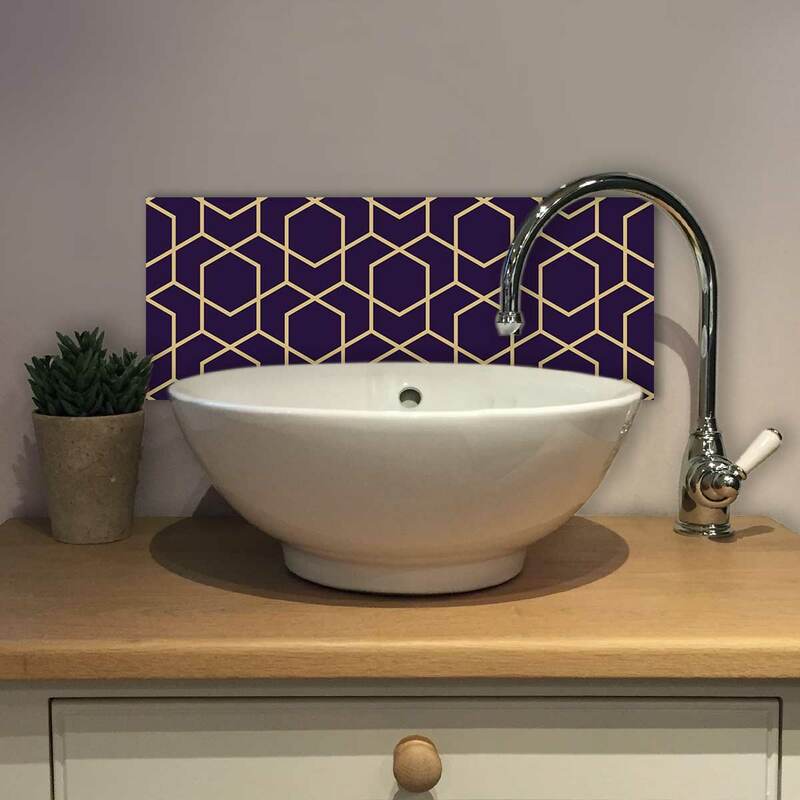 For the full range of Feature Tiles, all individually made to order, click here. Thanks again for reading and let us know on social what you think. Are you joining the Feature Tile revolution?